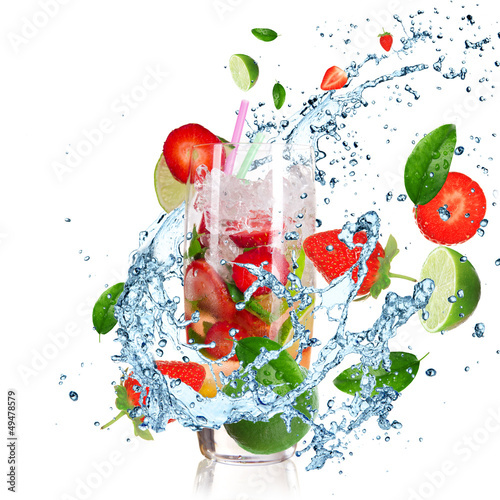 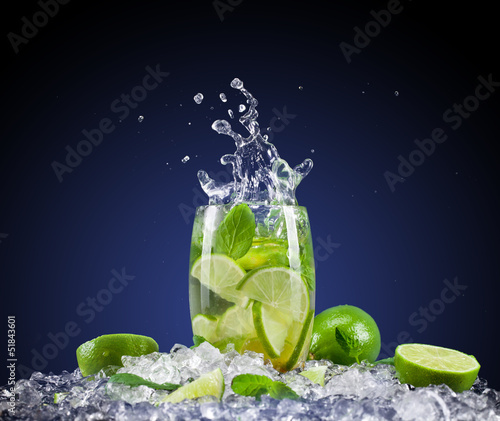 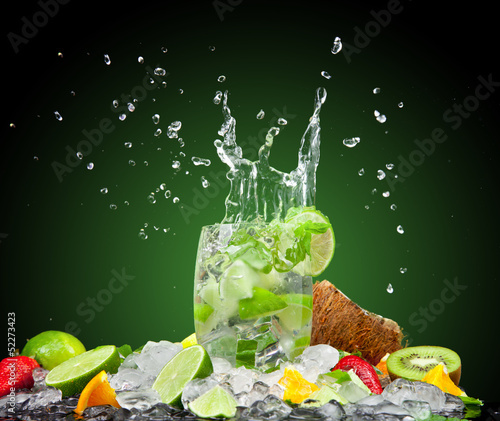 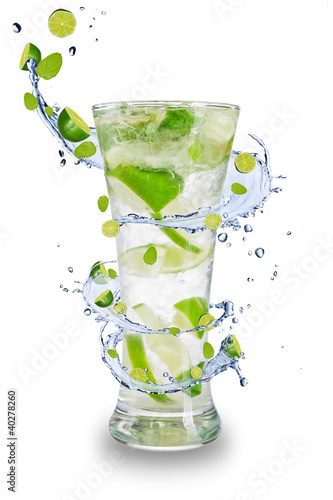 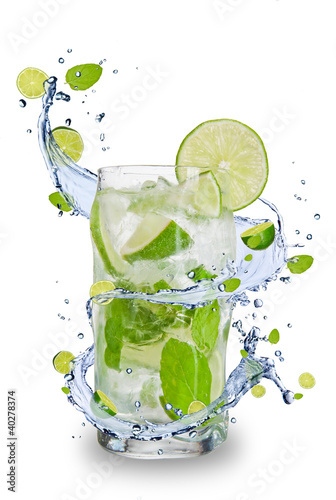 Fresh mojito drink with splash spiral around glass. 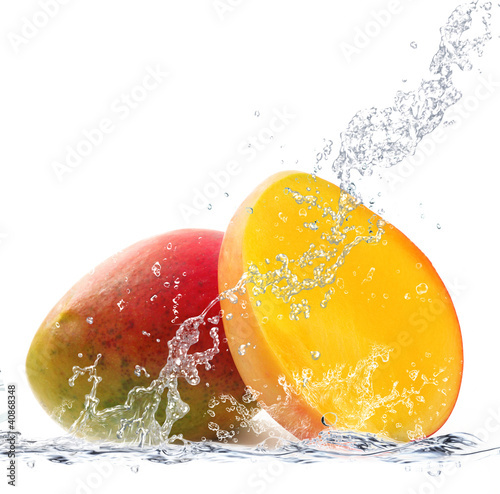 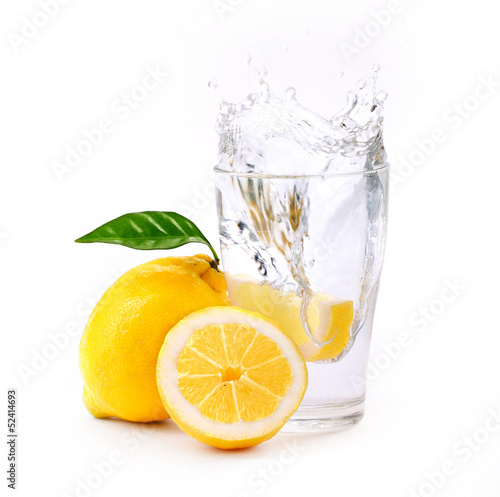 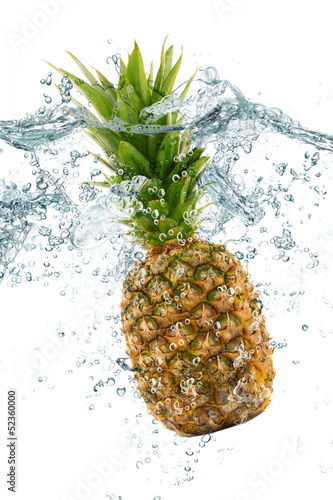 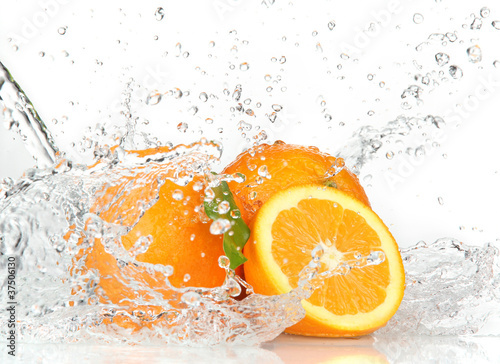 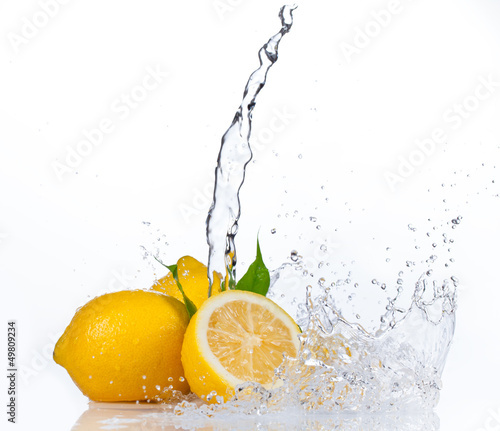 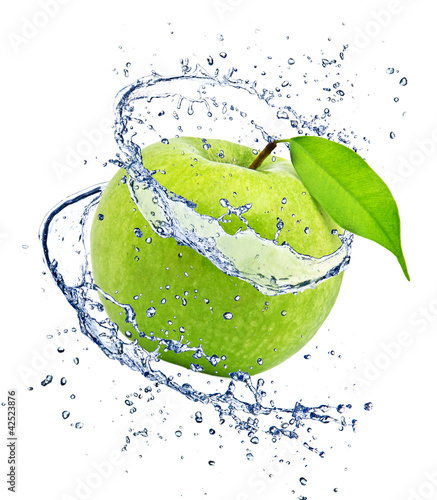 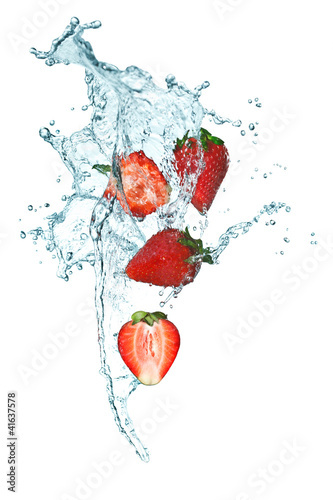 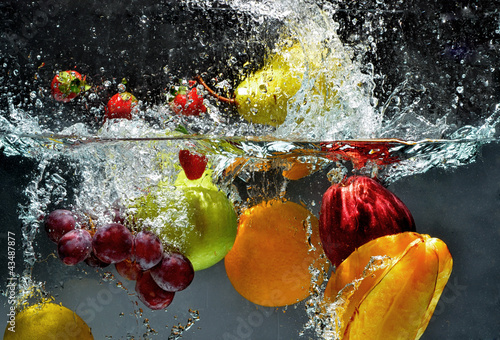 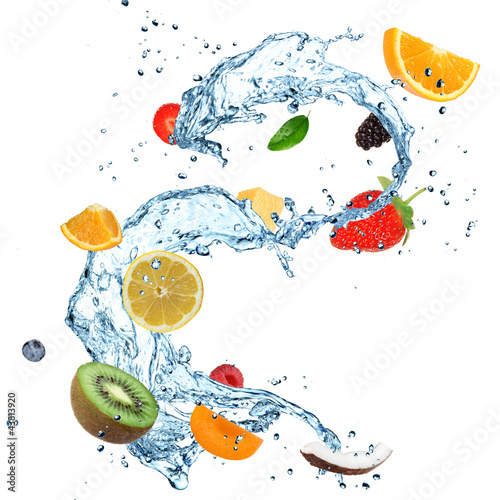 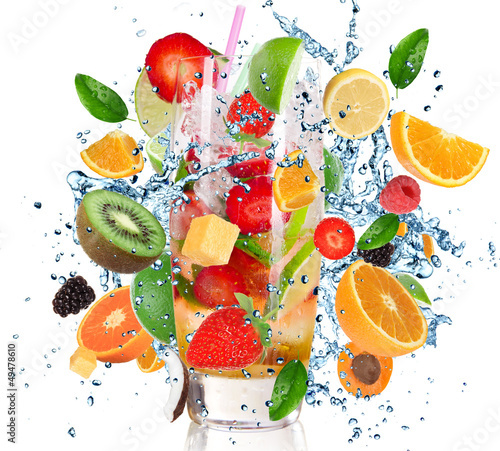 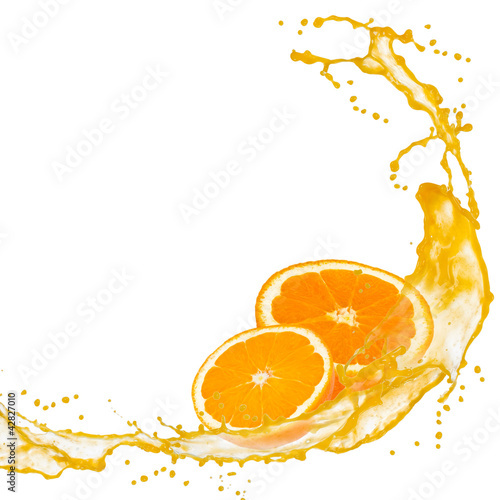 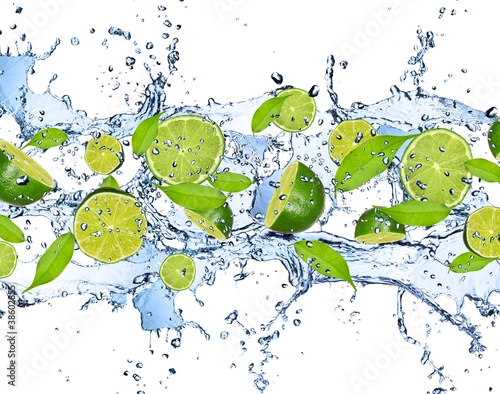 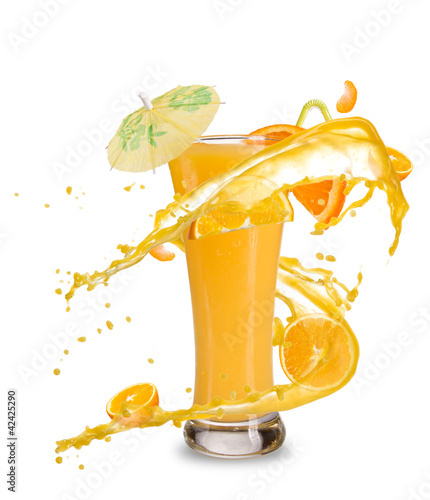 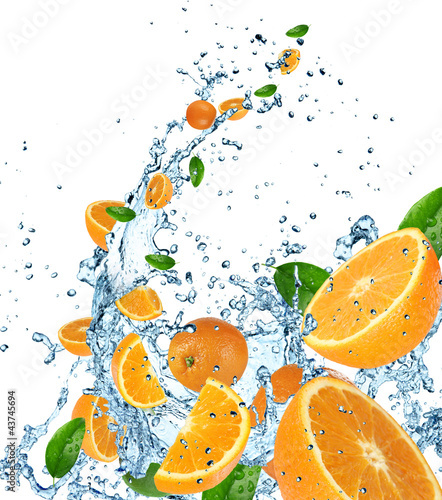 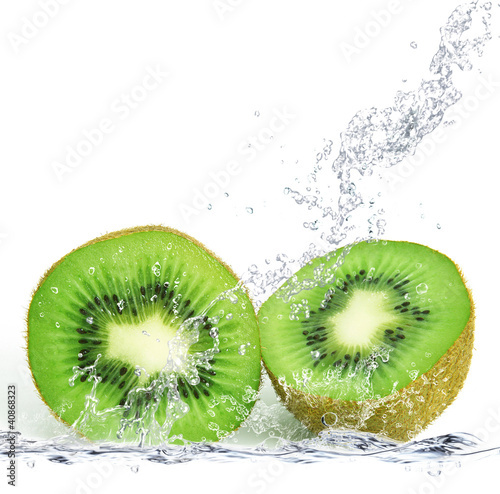 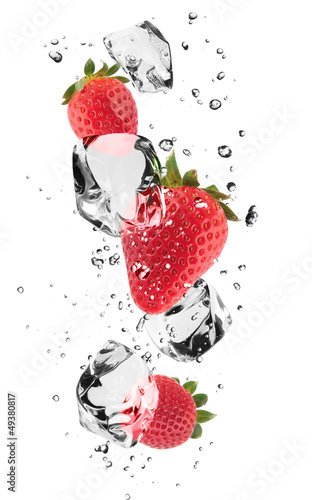 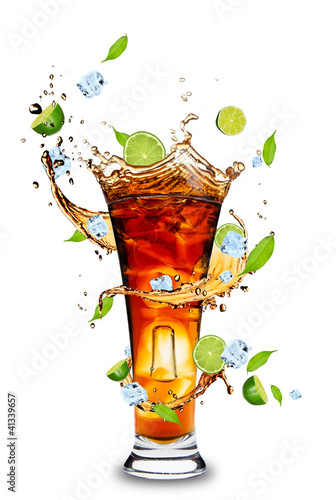 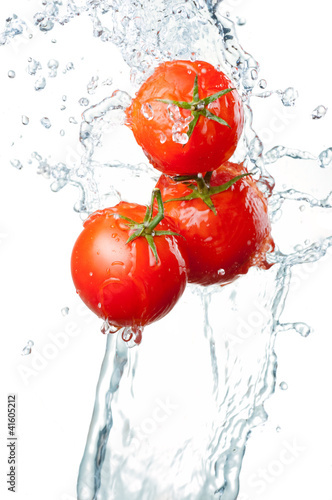 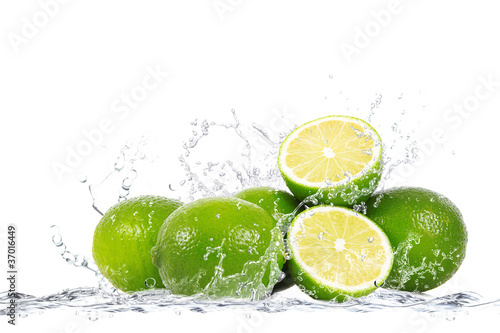 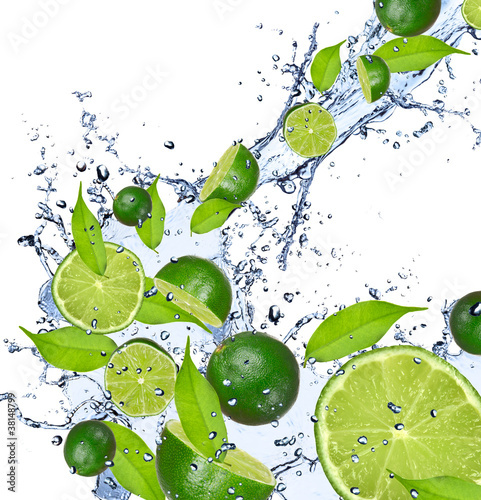 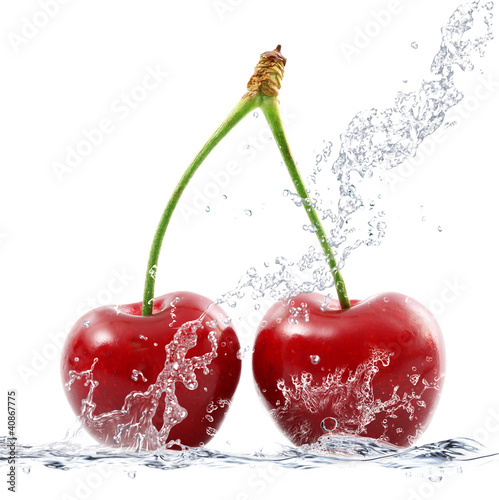 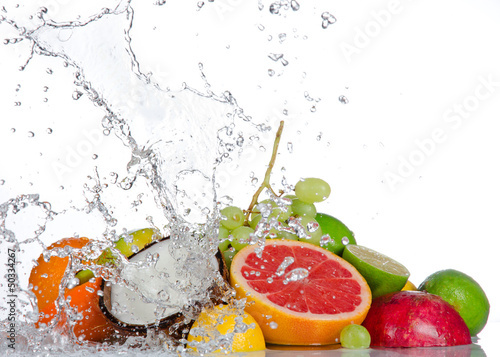 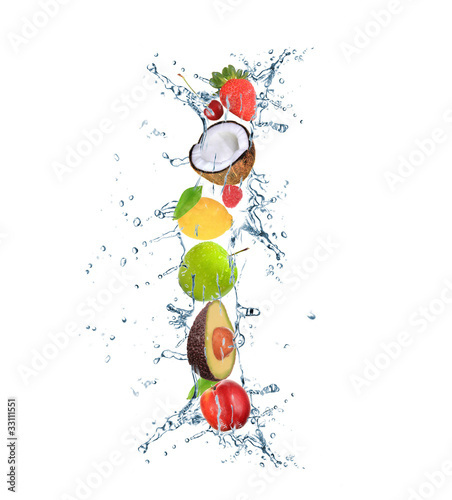 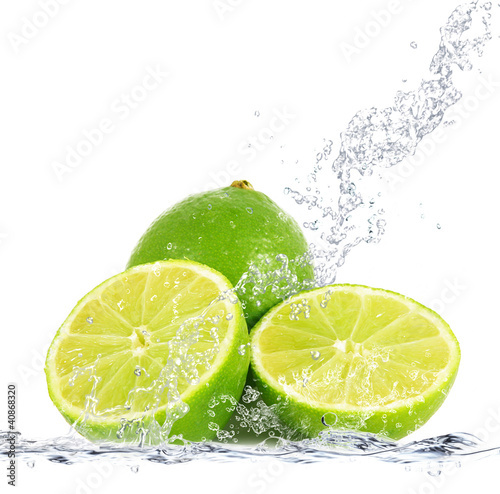 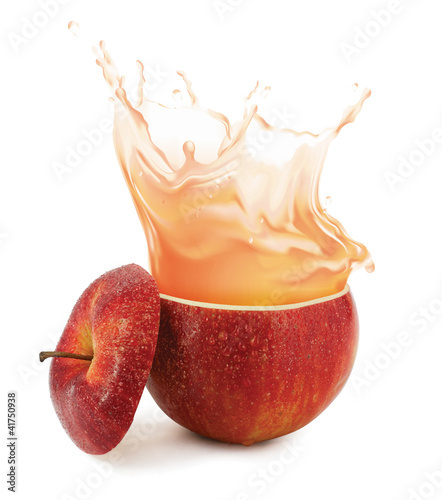 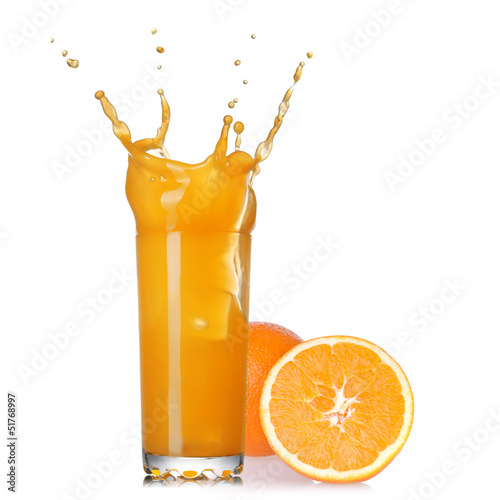 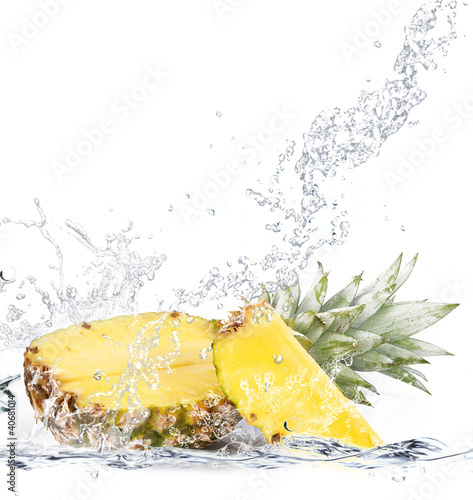 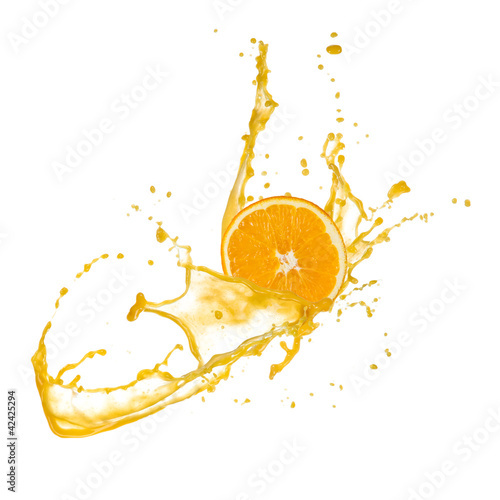 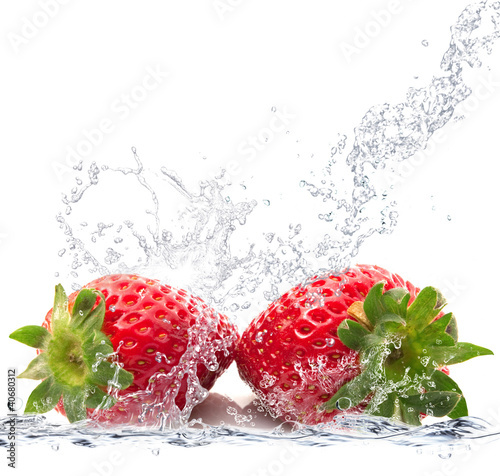 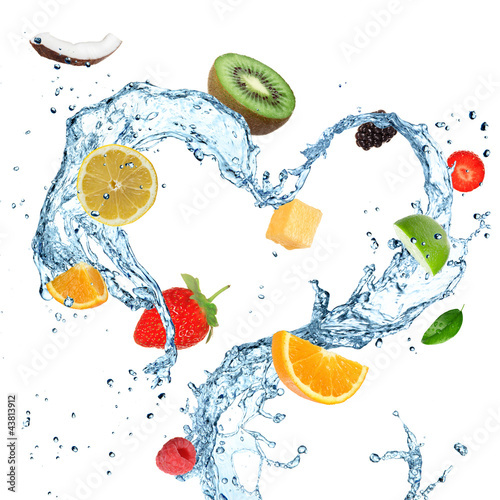 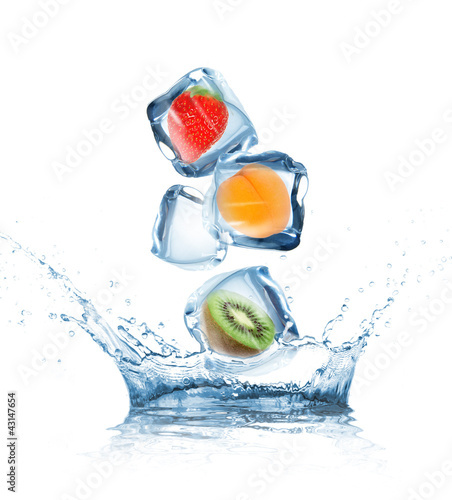 Fresh oranges in water splash on white background. 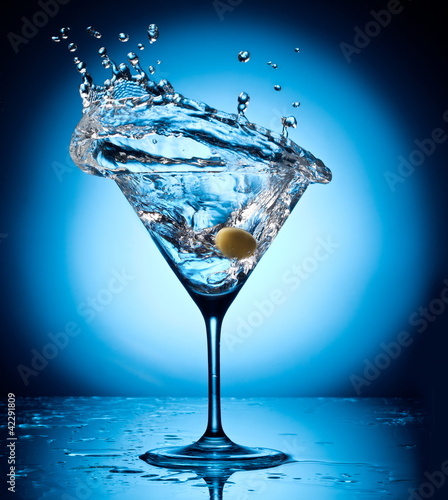 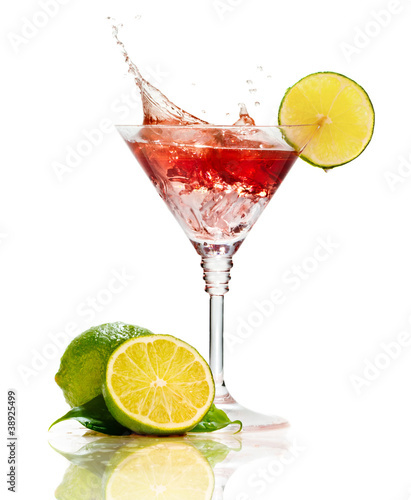 Splash martini from flying olives.